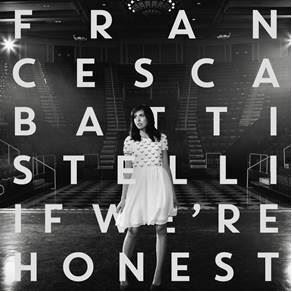 Contemporary Christian singer/songwriter Francesca Battistelli has released Holy Spirit as the new single off her latest album, If We’re Honest. This is the most worshipful single she’s released since Beautiful Beautiful, which is our loss, because Battistelli makes some of the most authentic worship music this side of Nashville. Absolutely gorgeous in its genuine worship, Holy Spirit is tailor-made and ready for corporate use in churches across America, and if the jump into the Top 25 this week from the high 40s is any indication, this song will become her latest Top 10 hit, and deservedly so.